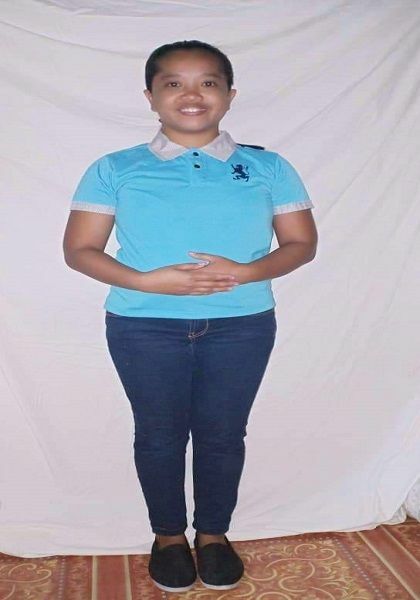 JULYNNE is a single mother of 6 years old boy.She has experience in taking care of children.She worked in Philippines for a Filipino couple with 3 children ages 10,6 & 3 yrs old from 2016 up to present. Her duties were cleaning a 4 bedroom bungalow and 2 toilet,did laundry,ironing and cooking. She took care of 6 & 3 years old .She walk them to/from school,prepare their breakfast ,cook meal for them.She can cook Filipino food and willing to learn from new employer. She is ready to work in Singapore, She can be interview with prior arrangement. FOR DETAILS PLEASE CALL @ 67346682.